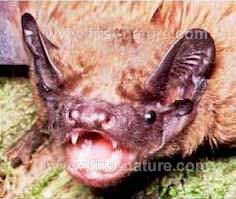 The Noctule Bat is one of the largest species found in Wales, with a head-and-body length of 6 to 8cm and weighing 20 to 40gm; they live for up to 12 years. Noctule bats are still relatively common throughout most of England and Wales, but they are now scarce in areas of intensive agriculture; this is almost certainly the result of hedgerow removal and the increased use of insecticides. You will see these golden brown bats, with narrow pointed wings, flying over water, on the edge of deciduous woodland, or along hedgerows. Noctules emerge early, occasionally even before sunset, and so you are very likely to see them in summer as they swoop from tree height to seize midges and other tiny insects in the air. They are also active feeders just before dawn. Occasionally, and most particularly after mid summer, noctule bats take beetles, moths and other quite large insects from the ground. They are fast fliers, capable of reaching 50 kilometres per hour (30 mph) in level flight. Mature trees are the preferred summer roost site of Noctule Bats; they particularly favour woodpecker holes or the rotten middles of ageing pollard willows. Most colonies comprise just a few dozen bats, but occasionally there may be more than 100 in a colony. In the second half of the 20th century it was reported that the largest known Noctule Bat roost in Britain was in East Yorkshire, where a count of 234 bats has been recorded roosting in a ancient pollard beech tree; such a large roost is unlikely nowadays, however. Females give birth to usually a single young, but not uncommonly twins, in late June or early July; the young can fend for themselves by the age of six weeks. 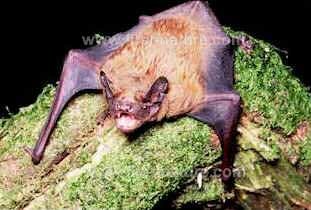 In winter, Noctule Bats usually roost in trees or in rock fissures, but they are also known to use bat boxes and occasionally to spend the winter roosting in buildings.